Being responsible for the door to raise and lower itself, springs perform a vital function. Any disruption in the working of a spring can cause severe damages to the door, sometimes even leading to the garage doors crashing down! Such occurrences are highly hazardous to one’s safety, life and property. The springs range from the tiniest to huge ones, and they take up maximum pressure and weight of the door. Unattended broken springs, whether it is torsion or extension, can cause severe damages. 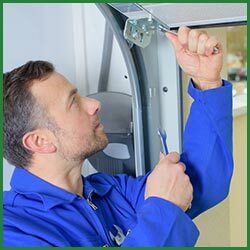 When you notice something off about your garage door springs, give Quality Garage Door a call, and we will be quick to respond to the issue, either by tightening, repairing or replacing them. Torsion springs are basically the extended counterparts of extension springs. They are designed to meet the advanced level of standards outlined in the industry. The springs of this kind come with a unique mechanism that is quite admirable. The system is as such that the spring is tightly wounded over a shaft, with cables and connections running through both the ends. Once the door raises, the spring slowly unwinds and the stored energy of the cable is transferred. The knack is that these springs provide added safety and security as they can hold the door up even when the spring is broken. Torsion springs have become just the ‘thing’ of today, as most of the residences and commercial spaces have them installed on their garage doors. 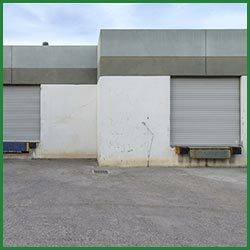 The conclusion about the type, size and number of springs that one requires can only be suggested by a trained professional who is well aware of the various requirements a garage door has, which is why you need to call Quality Garage Door for any kind of garage door assistance. Extension springs are traditional components. They are based on the principle of expansion and contraction during the times of closure and opening. 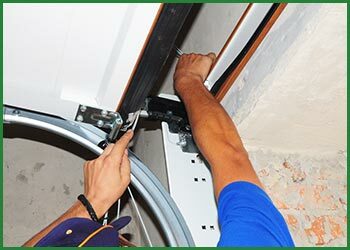 When the garage door is lifted, the extension spring contract and when it remains in a closed position, it rests whilst being expanded. As these springs aren’t as safe as the torsion springs, they need to be handled by skilled individuals only. A layman shouldn’t lay his hands on it for it will lead to disastrous ramifications. Extension springs are an inexpensive option, but also require regular maintenance and utmost care. Call Quality Garage Door for all your spring-related needs in San Antonio, TX area.